Protomolded figures, previously denoted with the collector derived term "internal first shots", make interesting additions to a prototype collection or character series. 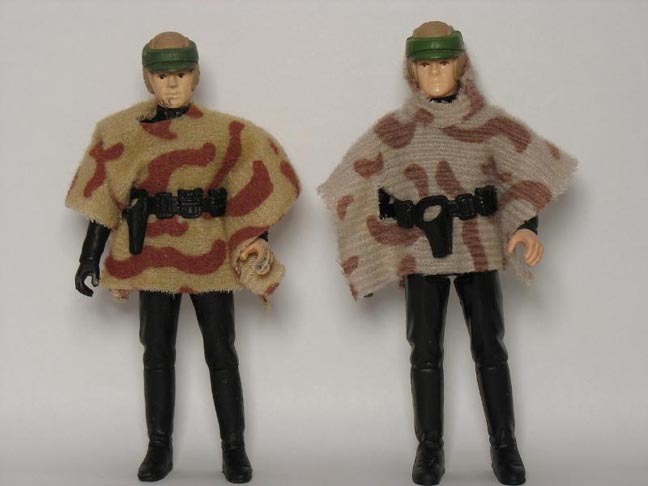 The figures, produced in-house by Kenner, were generated using low yield aluminum molds and typically served as industry show display samples, photography samples, and in some cases paint masters. 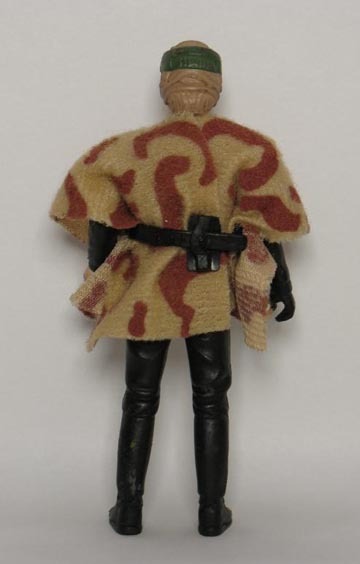 This hand painted Luke Skywalker Battle Poncho from Kenner's Power of the Force action figure line is classified as a protomolded figure. Above we see a rear view of the figure. 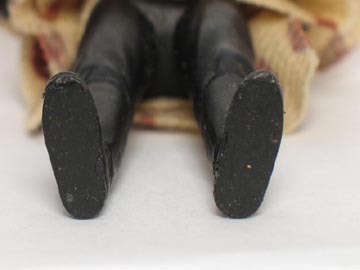 The absence of foot holes, a characteristic common with protomolded figures, is clearly visible in the photo shown above. Protomolded figures always lack copyright dates and country of origin markings since they are produced in-house. The next image conveys a front view comparison between the protomolded (left) and production (right) figures. The entirely hand painted nature of the protomolded figure truly sets it apart in appearance from its production counterpart. The protomolded figure's belt differs slightly in detail and appearance compared to the production figure's. 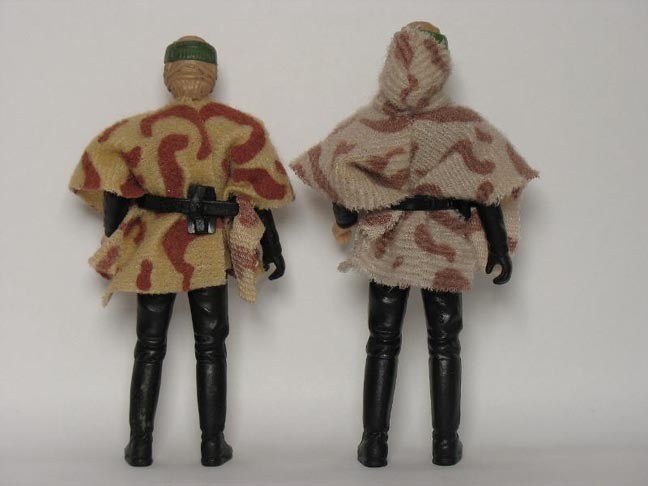 Finally, the protomolded figure's hand-cut poncho exhibits noticeable color differences along with painted camoflauge details. 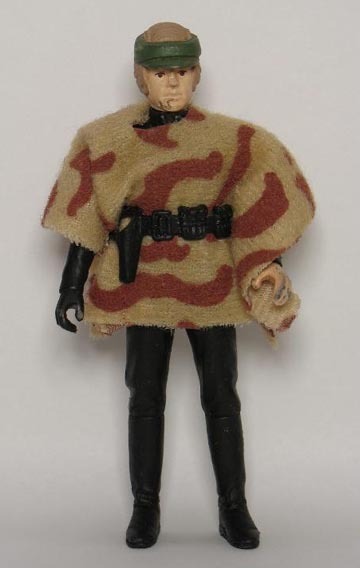 Notice the poncho's hood area is clearly absent on the protomolded figure.